On occasion of the 70th birthday of Paolo Fabbri, the Scientific Director of the Fondazione Teatro Donizetti, a book dedicated to him, ‘Musica di ieri, esperienza d’oggi’ (Yesteryear’s music, today’s experience), will be presented in the company of friends and colleagues. As part of the fourth edition of the Donizetti Opera Festival, a surprise appointment, on Saturday 1st December at 5pm, in the ‘Ashbrook Hall’ of ‘Casa Natale’, or Donizetti’s birthplace, comes the presentation of the volume Musica di ieri, esperienza d’oggi, featuring twenty-two essays for Paolo Fabbri, in celebration of the 70th birthday of the Scientific Director of Fondazione Teatro Donizetti Foundation since 1997. The book, published by Libreria Musicale Italiana, and edited by Maria Chiara Bertieri and Alessandro Roccatagliati, is divided into four parts, one of which dedicated to Donizetti and his theatre, comprising 22 essays by well-known Italian and European musicologists. 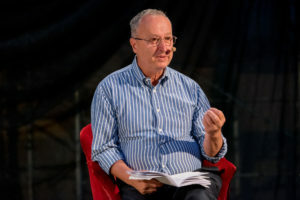 Many of the authors, including Marco Beghelli, Luca Zoppelli, Michele Girardi and Emilio Sala, will be present to wish a happy birthday to Fabbri and to witness the interest of international musicology in the work of the Scientific Director, which forms the basis of the programming of the festival dedicated to the local-born composer. 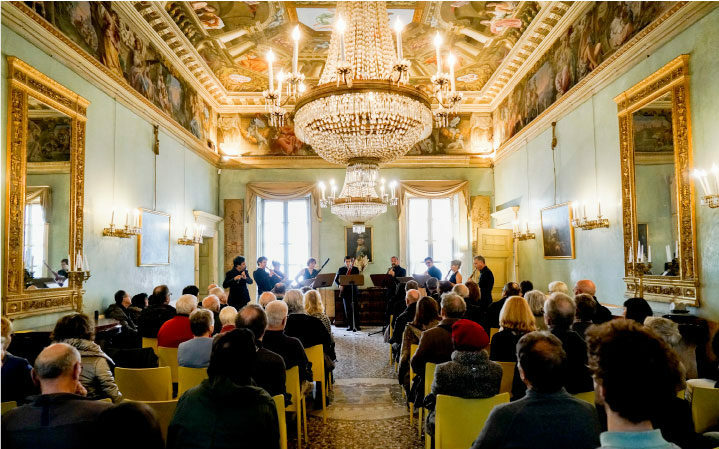 The weekend schedule includes various events suitable for all, such as Il volo del gufo: Donizetti e l’esilio (The flight of the owl: Donizetti and exile), on stage on Saturday 1st December at 11am, at Donizetti’s birthplace. The performance is a project by Quintetto Orobie, which, together with soprano Holly Czolaczche, have participated for a number of years in the Festival and on Donizetti Night, as well as proposing CDs, other concert events and narrated performances dedicated to certain aspects of the poetics of Donizetti. 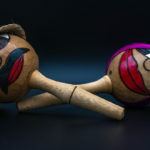 For little ones, at 4 pm in Fondazione Carisma’s Fausto Begnis Auditorium, will be the free-admission show Gaetano, Gioppino e L’elisir d’amore (Gaetano, Gioppino and The Elixir of Love), with the puppets of Daniele Cortesi. 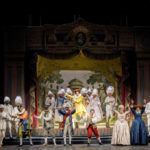 With great liberty and imagination, the show explores where the inspiration for L’elisir d’amore may have come from, and posits a not impossible friendship between the composer Gaetano Donizetti and the figure Gioppino Zuccalunga, both from late eighteenth century Bergamo. 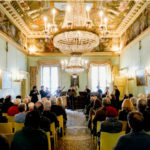 Finally, in the last appointment, the soloists of the Academy Montis Regalis propose a chamber concert at Palazzo Moroni, on 2nd December at 11am, in one of Bergamo’s most suggestive historical houses, with music by Donizetti and Rossini, thanks to the collaboration with the DimoreDesign Festival. Paolo Fabbri is Professor of the History of Modern and Contemporary Music at the University of Ferrara. From 1977 to 1985, he was a member of the executive and editorial board of the ‘Italian Journal of Musicology’, from 1988 to 1991, member on the board of the Italian Society of Musicology, and, from 1992 to 2002, one of the representatives of Italy on the board of the International Musicological Society. President of the Scientific Committee of Cremona for the Monteverdi celebrations from 1993 to 1994), from 1989 to 1998, he was part of the editorial board for the publication of works in relation Gioachino Rossini. From 1994 to 1998, he was Vice Director of the Rossini Foundation of Pesaro. From 1996 to 1997, he held the position of Co-director of the ‘Bollettino del Centro Rossiniano di Studi’ (Bulletin of the Rossini Research Centre), the scientific body organ of the Rossini Foundation. For the same institution, from 1996 to 1997, he conceived and directed the series ‘I libretti di Rossini’ (the librettos of Rossini) and ‘Saggi e fonti’ (Essays and source materials). He is currently a member of the Deutsche Rossini Gesellschaft Scientific Advisory Committee. 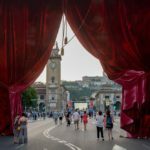 Since 1997, he has been Director of the Donizetti Foundation of Bergamo, and President of the ‘National Edition of the Operas of Gaetano Donizetti’. For the publishing house Libreria Musicale Italiana (LIM) of Lucca, he directs the series ‘ConNotazioni’ (ConNotations). In 2003, he founded the journal ‘Musicalia: International Yearbook of Musicological Studies’, of which he is currently Director. Director of the music area of the Institute of Renaissance Studies in Ferrara, he is also a member of the scientific committees of the magazines ‘Il Saggiatore musicale’ and ‘Studi musicali’, as well as of the scientific committees for the ‘National Editions of the Operas of Andrea Gabrieli, Vincenzo Bellini and Giovan Battista Pergolesi’ and the series ‘Operas of Gioachino Rossini’ and ‘Opera: Spektrum des europäischen Musiktheaters’, both published in Kassel by Bärenreiter. In 1989, he was awarded the ‘Dent Medal’, the annual international musicological award of the Royal Musical Association. Former Visiting Professor at the University of Chicago (1992), in 2001, he was nominated honorary member of the American Musicological Society.